GQ-01 Do I need to sign up to My Access to use this website? GQ-02 Where can I find the deliverance prayer request form? GQ-03 I requested for deliverance help via general enquiry and contact form and I have not received a response. Why? GQ-04 I would like to testify of God’s goodness to me, how do I go about that? GQ-05 I forgot my password and cannot sign into My Access. What do I do now? GQ-07 Will you make available deliverance and other biblically inspired courses? GQ-08 I want to make suggestions to Prayer Deliverance Ministries. How do I go about doing so? Still have unanswered question? Let us know, send in your question. DQ-02 What is deliverance prayer and how does it differ to prayer as most people would understand? DQ-03 Is deliverance the same as exorcism? DQ-04 Would I be required to purchase special prayer cloths, oils, trinkets and other paraphernalia for deliverance to yield fruit at PDM? DQ-05 Do I need to be delivered if I am living in sin? DQ-06 I have heard deliverance is not required if you are a Christian, is this true? DQ-07 Can Christians come under spiritual possession by hostile spirits? DQ-08 Do I need to experience or see manifestations take place in order to know that I am being delivered? DQ-09 Do hostile spirits leave you alone in peace if you choose to ignore them? DQ-10 What are hostile spirits? DQ-11 What is an agent of darkness? DQ-12 I am worried over praying out loud because I fear Satan hears what I am saying. Should I have such worry? DQ-13 Do I need to shout when I am saying my deliverance prayers? KJQ-02 What did Jesus come to do? KJQ-03 What happens when I believe in Jesus? KJQ-04 Do I have to be baptised to be a believer and follower of Jesus Chrst? KJQ-05 I want to have a personal experience of Jesus, is that possible? KJQ-06 I have heard people claim to be able to talk to Jesus and He talk back to them, is not this a sign of mental illness? KJQ-07 Can I be a Christian if I have never consciously accepted or proclaimed Jesus as my LORD and Saviour? KJQ-08 I was born and raised in a Christian family. Does that make me a Christian? KJQ-09 What about nominal Christians? KJQ-10 Is it okay to believe in Jesus and dabble with the occult? KJQ-11 Is it okay to believe in Jesus and consult clairvoyants, fortunetellers, mediums, occultists, psychics or witchdoctors? KJQ-12 Can I be delivered from evil if I do not accept Jesus as LORD? KJQ-13 What happens if I do not accept and believe in Jesus for the forgiveness and remission of my sin? PAQ-01 What has happened to Access to Deliverance and Spiritual Warfare Programmes? PAQ-02 I have been under sustained spiritual attack what help can you offer me? PAQ-03 Where can I download my deliverance prayer programme? PAQ-04 Do I need to own a particular software programme to download the deliverance prayer programme? PAQ-05 Why do I get redirected whenever I click on My Prayer Access? PAQ-06 I am supposed to start the deliverance prayer soon but get redirected whenever I click on My Prayer Access. What is happening? PAQ-07 I keep getting error when I enter the username and password for the deliverance prayer programmes. What am I doing wrong? PAQ-08 Do I need to pay a fee for the deliverance prayer programme? GQ-01 No, you do not need to sign up to My Access to use this website. However, you can only submit a deliverance prayer request via My Access. GQ-02 The deliverance prayer request form can only be access via My Access. Sign into My Access if you are already signed up. You will need to sign up if you have not done so already. Once in My Access, go to the menu tab select My Access Forms, then select deliverance prayer request form. GQ-03 General enquiry and contact form deals mainly with administrative matters and not deliverance. For deliverance help, submit a deliverance prayer request form, which you can find in My Access. GQ-04 Sign in to My Access, go to the menu tab, and select Access Forms dropdown menu, then select Praise Report and Testimony Form, fill in the form and press Send Message. GQ-05 In My Access Sign In page, click on the highlighted text forgot password to have a new password sent to the email addressed you signed up with. GQ-06 Prayer Deliverance Ministries is sometimes abbreviated to PDM on this website and other publication materials connected to the ministry. GQ-07 The short answer is Yes. We have been carefully considering deliverance and biblically inspired courses that will be of great benefit to all. We plan to do so and more information will become available nearer to the time. GQ-08 You can send us your suggestion via General Enquiry Form. DQ-01 Deliverance is the act and process by which victims of hostile spiritual forces are set free in the authoritative name of the LORD Jesus Christ. DQ-02 Deliverance prayer is the formulation of divine imperatives that identifies hostile spiritual forces and subverts them. 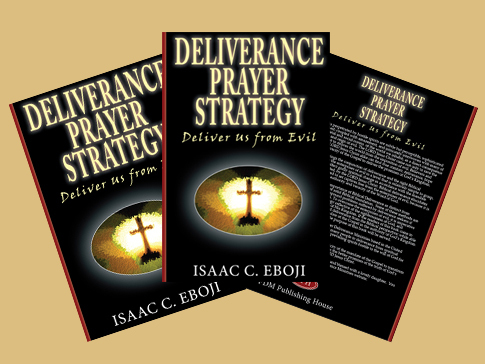 Deliverance prayers are therefore directed against hostile spirits and their works in spiritual warfare, while prayer as most people understand is speaking to God. DQ-03 Exorcism involves rituals, rites and invocation of angels, archangels and ascended saints all of which are unbiblical. Deliverance exerts authority over hostile spirits in the name of Jesus Christ. DQ-04 No! You are not required to do any such thing. If the activities and works of hostile spiritual forces does not submit to you in name of the LORD Jesus Christ, then all the special prayer cloths, oils and trinkets purporting to have the LORD’s anointing will not do it for you either. DQ-05 Certain sins have the tendency to attract the presence of hostile spirits who thrive under those sinful conditions. Therefore, depending on the nature of sin, deliverance may or may not be required. Living in sin generally means you are more prone to the effects of hostile spiritual forces. DQ-06 If Christians can live in Christ without ever sinning then deliverance is not required. However, Christians who backslide and make habits of sinning shows they have not yet come to terms with being in Christ and are therefore, vulnerable to the effects of hostile spiritual forces. DQ-07 The short answer to the question is yes. Spiritual possession otherwise known as demon possession has nothing to do with ownership but everything to do with occupation. Demons cannot own people but they can certainly occupy the bodies of those they seek to destroy, if they are granted the opportunity to do so. DQ-08 Manifestations can happen in some cases of deliverance but generally it does not determine whether deliverance has occurred. It simply indicates the presence of hostile spirits reacting uncomfortably to deliverance prayers. DQ-09 No, it is against their nature not to be hostile and provoking to their victims. DQ-10 The term 'hostile spirits' collectively groups together the myriads of adversarial spirits, demonic spirits, familiar spirits, satanic spirits and powers of darkness. These spirits are agents of darkness, working in some cases in concert with Satan to destroy lives. DQ-11 An agent of darkness can be a person, spirit or a thing acting in accordance with the express intent and wishes of the kingdom of Satan to bring evil and harm to bear on others. DQ-12 No you should have not such worries. Deliverance prayers demands you to pray so that Satan can hear you and obey the Word of God. DQ-13 Some people do shout in the mistaken assertion that it troubles evil spirits and the kingdom of Satan generally. The kingdom of Satan are not phased by people shouting at them, because it is not the shouting that moves them to comply with the Word of God, rather it is the authority of Christ being exerted which obliges them to fully comply. To exercise this authority, you need to be right with God. KJQ-01 Jesus is the Son of God, LORD and Saviour of the world and mankind. He is the incarnate Word of God. KJQ-02 Jesus came to make the Heavenly Father known to the world and died for the sin of mankind in order to set us free from sin and death. KJQ-03 In believing in Jesus you accept the fact you are a sinner in need of His redemption and are therefore saved from sin, yourself and the kingdom of Satan. You subsequently become a child of God enabled to live in the fullness and power of His Kingdom. KJQ-04 You become a believer of Jesus Christ before baptism ever takes place in the first instance. However, to be a follower of Jesus Christ you must and should permitting the circumstances get baptised as a show of public your declaration of faith in God, through Jesus Christ the LORD. KJQ-05 Yes, Jesus taught that in seeking you will find. Seek the LORD in prayer, demonstrate the fact by the way you live and the LORD will reveal Himself to you. KJQ-06 Some branches of medical science regard anyone claiming to talk to someone they cannot see as mentally ill. Talking to Jesus is not a sign of mental illness, it is in fact quite normal and most are conscious of it especially when they pray. KJQ-07 You cannot in the definitive and real sense be a Christian if you have never consciously accepted and believe in Jesus as both LORD and Saviour of your life. KJQ-08 You can only be a Christian if and only if you consciously and knowingly believe and confess Jesus as your LORD and Saviour. KJQ-09 Nominal Christianity is no Christianity. Christians are believers of Jesus Christ and are obedient to His teachings and commands. KJQ-10 No, you cannot be partaker of evil and be a child of God. KJQ-11 No, you cannot be partaker of evil and be a child of God. KJQ-13 In deliverance you effectively enter a covenantal relationship with God through Jesus in order to be rid of the works of hostile spiritual forces. Believing, accepting and acknowledging Jesus as LORD and Saviour is key and essential for that to take place. KJQ-13 Your sin remains and will testify against you on the day you stand before God in judgment after death. PAQ-01 Nothing has happened to it, except that it is now only available to those receiving help directly from PDM. PAQ-02 If you have been under sustained spiritual attack or believe you are a victim of hostile spiritual forces at work against you, submit a deliverance prayer request form to enable us to help you. PAQ-03 To download your deliverance prayer programme you must be signed into My Access and select My Access Prayer on the menu tab. PAQ-04 You only require to have Adobe Reader which is free to download from Adobe’s website. PAQ-05 It is possible that you may not be receiving direct help from us, hence not being able to access deliverance prayer programmes. If you have already received an email from us offering to help you, please forward a copy of that email to us and we will resolve any issue with access to deliverance prayer programmes within as soon as possible. PAQ-06 If you have changed your personal contact information since signing up to My Access, you will need to go through verification process again in order to enter My Prayer Access. PAQ-07 To ensure you enter information correctly, copy and paste your username and password. PAQ-08 No. In accordance with the principles laid by Christ, the deliverance prayer programmes offered are free of charge. However, if you feel strongly that you must contribute to this ministry for the help received then you can always make a donation.